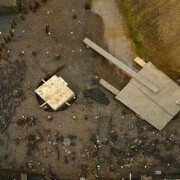 After almost a year of work at the Must Farm settlement, the excavation is nearing its end. We’ve worked in freezing temperatures, cleaning wet wood with icy fingers to recording archaeology while dripping with sweat in the midst of a heatwave. Archaeology is seldom glamorous and rarely easy but the Must Farm site has made all the difficulties and challenges pale in comparison to the incredible material we have unearthed. Over the past few weeks, we’ve been working harder than ever to record and remove the last of the archaeology at the site. 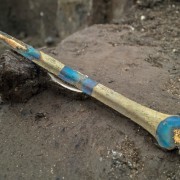 In our previous blog entry, “Moving Towards the End of the Excavation” we described how we are effectively moving backwards through the life of the settlement as we excavate it. The deposits closer to the surface, which we dealt with first, were all related to the destruction of the settlement. Once these were removed we were working with material tied to the occupation of the houses including broken pot sherds and butchered animal bones. 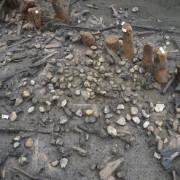 The lowest deposits, which we are currently finishing recording and removing, are tied to the very beginning of the settlement: its construction. 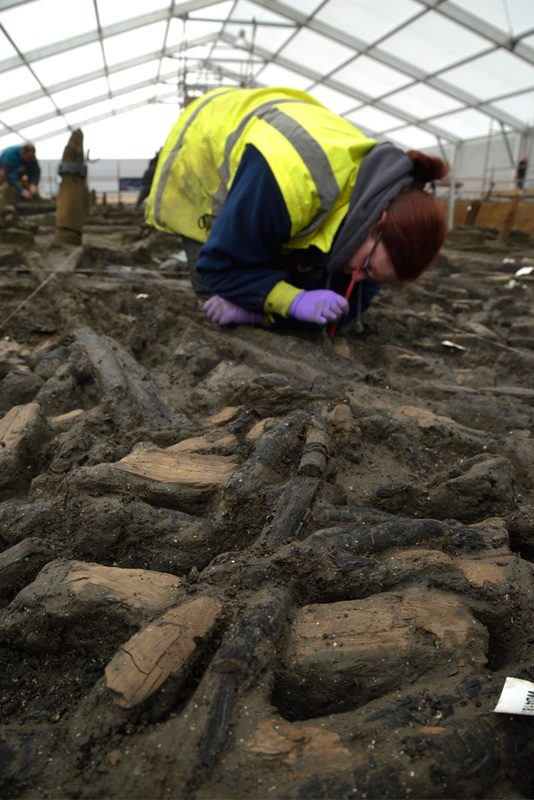 Excavating some of the dense, construction debris in the settlement consisting of woodchips and larger worked timber fragments. There are a number of different aspects to the construction, dealing with the different elements of the settlement, such as the houses themselves and the palisade that encloses the dwellings. This involves understanding and recording a diverse range of timber, from large upright posts to tiny woodchips. 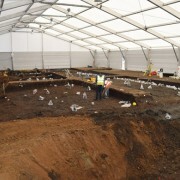 A lot of coverage of the excavation has dwelled on the occupation of the homes, in particular the material from the settlement, alongside the circumstances surrounding the fire that brought the site’s life to a close. However, understanding the creation of the buildings, and the processes behind that construction, is also very important to us. The evidence of construction in the area surrounding the palisade is particularly dense. We know from environmental evidence that the river running underneath the stilted buildings and through the palisade was extremely slow moving. The very slow flow of the water had the result of construction debris, even lightweight woodchips, sinking close to the areas they were originally created in. This has resulted in especially dense areas of ash woodchips and construction debris clustering around the interior of the palisade all the way around the surviving area of settlement. As a result, we have been recording these crowded areas using a combination of 3D modelling, derived from photogrammetry, and annotated plans. It is a time-consuming and complex task as woodchips are recorded according to their species, size and a variety of other factors. 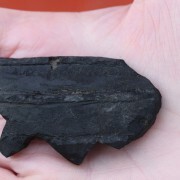 Equally, if tool marks or axe impressions are present then these are also noted. The quantity and location of these woodchips and the construction debris will be looked at it in post-excavation, where we will have a much clearer overview of the material. 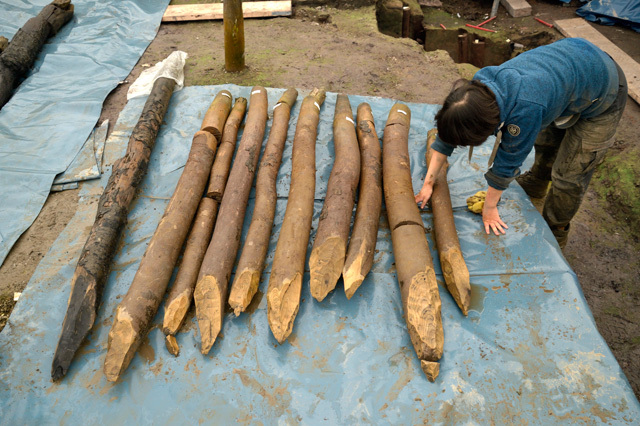 Excavation of a sample area of the palisade dug in order to view the depth and condition of the posts. The preservation of the posts is fantastic with many still having bark and moss attached. 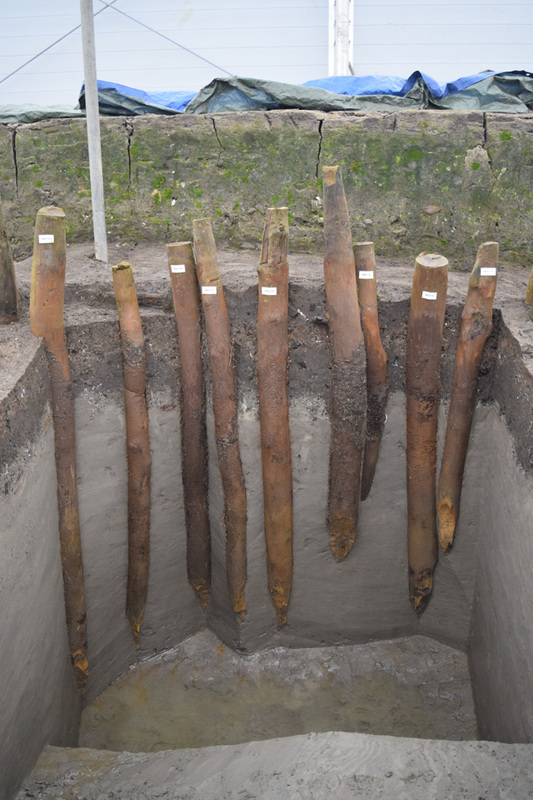 We have also been examining the palisade posts in more detail, digging down into the underlying sediments to expose the full depth they have been driven to. The majority of the uprights in the palisade are ash, although there are a handful of oak timbers. At the moment it is unclear exactly why this difference occurs and it may be random. 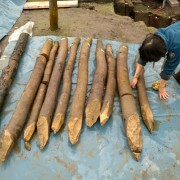 However, the spacing of the oak posts could be an indication they were sunk first as a means to line up the shape of the palisade, ready for the ash posts to fill in the gaps between them. The tips of the ash posts are in astonishingly good condition and are covered in tool and stop marks from the axes used to shape them into points. 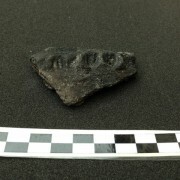 We’ve already begun recording the profiles of these axe indentations from the uprights we’ve excavated so far. There is the tantalising prospect that we may be able to match the tool marks with some of the individual axes we have recovered from beneath the structures. There are an awful lot of variables which can prevent this but we are hopeful we might be lucky enough to match at least some. We also have material associated with the initial construction of the stilted houses, including more woodchips, some of which are in dense clusters close to the buildings. These are all being recorded in the same manner as the construction debris related to the palisade. We are also finding some slightly larger fragments of timber related to the construction and it will be interesting to explore the tool markings and evidence of working on these pieces. 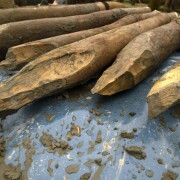 Close up of the tip of one of the outer vertical posts from Roundhouse One. 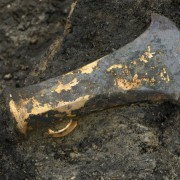 The tool marks still appear fresh, even after 3000 years. One of the main areas we have been exploring relating to the construction of the structures is the uprights that would have raised the houses above the river. Each building has several different rings of posts, more substantial inner and outer rings with a smaller central ring. Excavating these vertical timbers is not easy, requiring careful and methodical excavation to safely expose them. 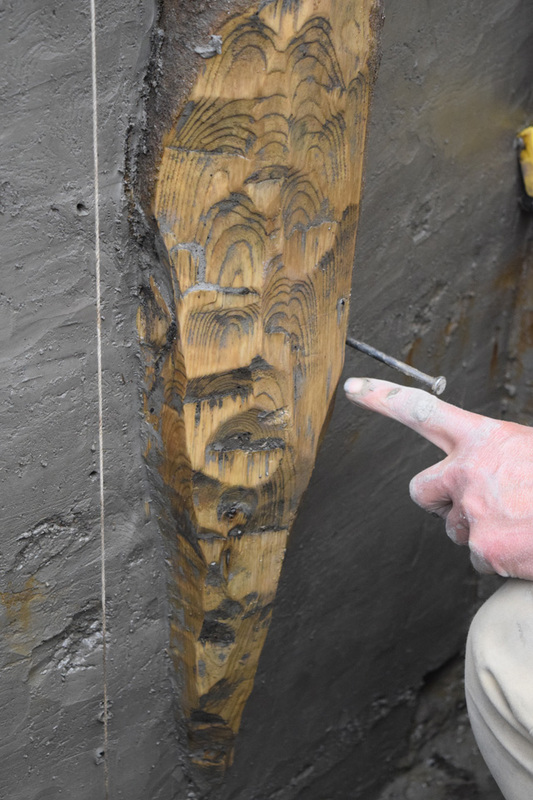 Once their depth is revealed in section, the posts are delicately cleaned and recorded with detailed section drawings. Only when this is complete are they lifted and other details examined more closely, such as tool marks and surviving bark or moss patches. The uprights supporting the buildings in the inner and outer rings are sunk extremely deeply into the sediments of the channel, sometimes to a depth of three metres. These seem to be the supports that would have predominantly taken the weight of the building. All the posts in these rings are made from sizable oak timbers and their tips have been worked into points. The posts in the central ring are much less substantial, probably made from ash, and may have been to help support the floors of the houses. We suspect the floors were “springy” and made from wattle panels, so having an additional means of supporting them from below seems to make sense. Palisade and structural timbers being cleaned ready for photography, photogrammetry and scale drawings. Many are being sampled for dating to try and tighten the chronology of the settlement. We still have more uprights to excavate to get the most complete picture of the structures. How similar are the posts in the inner and outer ring? Are the tips of the posts worked in the same way or are their differences? Will examining tree rings suggest the wood came from the same area of woodland? 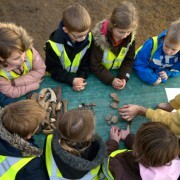 There are many questions to explore in post-excavation relating to the construction and ensuring we are recording as much as possible in detail is absolutely essential. Once the construction material has been recorded and removed, this will effectively mark the end of the on-site element of the project. We set out with the goal to excavate, and record in great detail, the remainder of the settlement and very soon, we will have achieved that. We’ll be talking a little more about the very end of the excavation as it happens in the next week or so. However, this is only really the end of the beginning. Over the coming months, and years, the detailed analysis and exploration of the material from the site, alongside its environment, will start to answer the many questions we have. Archaeology is very much a discipline where we strive to get closer to the material reality of the past and we’ll continue to share that process into the future.